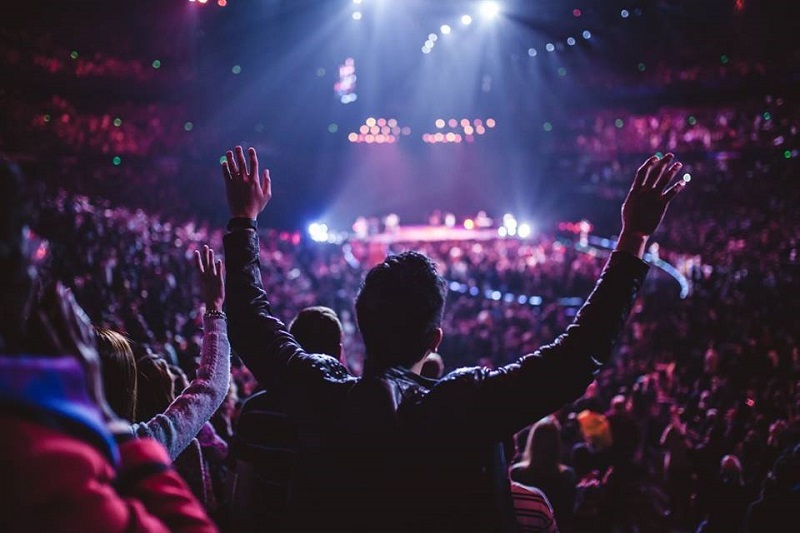 After honouring 20 years of Hillsong United on the opening night, it was back to the future at Hillsong Conference 2018 with Hillsong Worship and Chris Tomlin showing the generations what God has done in an action-packed Day 2. But it was Pastor Judah Smith who stole the show with a terrific word in the evening about perseverance. Judah also appeared in a very honest interview with Brian Houston about his struggles pastoring a megachurch after the death of his father. Hillsong Worship got us underway on Day 2. 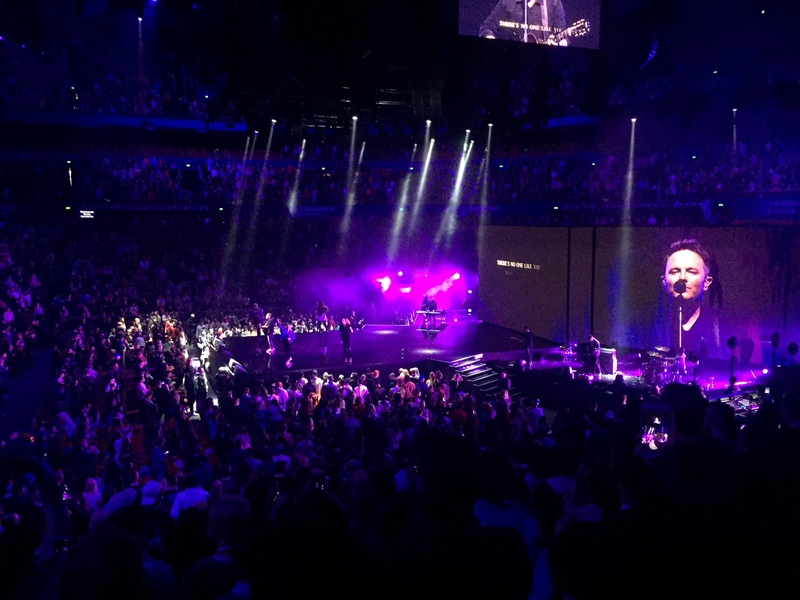 In a break with tradition, Hillsong went back in time, playing songs from Hillsong’s worship history that have gone on to shape the Church. Song like Mighty to Save, Cornerstone, My Redeemer Lives and Shout to the Lord have been played in numerous churches with Darlene Zschech’s Shout to the Lord one of the only songs played across denominations. It was a fantastic connection to the 30+ year legacy of the church and conference. Pastor Brian Houston took the bold step of preached on the power of Sin - but from a different perspective to the fire and brimstone preachers of yesterday. Brian highlighted the need to teach on sin, while remembering Romans chapter 3 verse 20 which says. The law makes us aware of sin, but God hates sin because he loves us and wants what is best for us - that is, a committed relationship with God working to transform us from the inside. If we focus on Jesus and everything he has done for us on the cross we would not even want to sin. There are some out there that don’t believe that pastors like myself preach enough on sin, but the perspective needs to shift - we need to be made aware of sin but remember Romans 3:20. It has never been about our performance or our efforts but focusing on Jesus “who is the author and the finisher of our faith” (Hebrews 12:2). The conference theme this year is “There is More!” - there is more grace and mercy. Pastor Judah Smith of ChurcHome in Seattle, Washington, then took over and was very open and honest about his struggles of taking over the Church. Pastor Judah was only 30 when he took over what was then known as The City Church in Seattle following the untimely death of his father Wendell to cancer. While dealing with the grief of losing his father, he also had the added responsibility of taking on a megachurch where constant comparisons between himself and is father would no doubt have been made. What he said brought hope to millions of young pastors with the affirmation that a pastor is stationed because God chose him or her to be there. It was never about performance or the ability to preach. He then spoke about his challenges at school where teachers said he struggled with most subjects but was “genius at verbal communication” - no doubt a gift that God had given him to preach. Honesty seemed to be the flavour of the day. Pastor Joel A’Bell, Lead Pastor of Hillsong Australia shared about how God had healed him from Crohn’s disease but he had to go on a journey first, which included making changes to his diet. Pastor Paul De Jong of the LIFE church in Auckland New Zealand shared about the Bonsai Christian. These are the ones that decide not to remain planted in a Church but isolate themselves and seek their own desires. He used the Bonsai analogy to show that their roots do not go deep and they yield very little fruit. When we plant ourselves in the house of the Lord, we flourish, as Psalm 92:13 says. We grow deep roots and when storm hits us, our roots stay deep. Bonsais do not have strength and need constant maintenance. The day ended with worship from DOVE Award winning artist Chris Tomlin who also showed us what God has done through his music, where he lead worship with classics including Our God, Amazing Grace (My Chains Are Gone), How Great is Our God and Good Good Father. Judah Smith ended the night with a timely word reminding us that our heritage is endurance under persecution. Hillsong Conference continues tomorrow with great messages from Pastor Chris Hodges, Steven Furtick and Pastor Carl Lentz of Hillsong New York City.